FORT LAUDERDALE, FL – Capt. 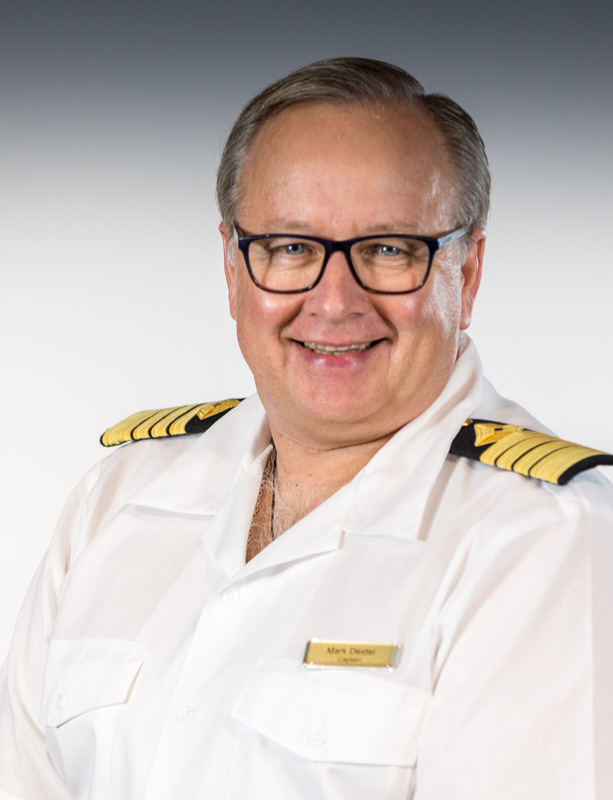 Mark Dexter has more than 30 years’ experience in the maritime industry having begun his distinguished career as a Cadet and spending the last 17 years as Master. At The World, the largest privately owned yacht on earth, he is responsible for the daily maritime operation of the Ship including the overall onboard operation of the vessel as well as the safety, comfort and well-being of all Residents, Guests and Crew. He is also involved with planning the Ship’s continuous global itinerary. Capt. Dexter hails from Portsmouth on England’s south coast and currently resides in Canterbury (near Christchurch), New Zealand with his wife and their two sons. All are keen rugby supporters. Among his many interests are serving as a New Zealand and UK registered cricket umpire, motorcyclist and beekeeper. He holds a private pilot’s license and has a Silver Certification from the British Gliding Association. A graduate of Warsash Maritime Academy in Southampton, Hampshire, England, Capt. Dexter earned a degree in Nautical Sciences as well as his Masters Certificate of Competency. Capt. Dexter joined The World in November 2017. Previously he served as Master on both global luxury and discovery-style ships including the Seabourn Encore, Seabourn Odyssey, Seabourn Pride, Swan Hellenic’s Minerva II, Hebridean Spirit, and Hebridean Princess. Launched in 2002, The World® is the largest privately owned, residential yacht on earth with 165 luxury Residences. A diverse group of Residents from 19 countries own the homes onboard and share interests in world cultures, history and adventure, and exploring fascinating destinations. They circumnavigate the globe every two to three years following an extraordinary itinerary that they select. In-depth expeditions and one-of-a-kind experiences are complemented by world-class amenities and impeccable service. To learn more about this unique lifestyle call 954-538-8449 or visit www.aboardtheworld.com.